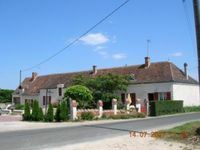 Properties in Indre-et-Loire average 4.6 out of 5 stars. Moulin of charm hyper quiet 15km of Tours - Paradisiac! Property 5: Moulin of charm hyper quiet 15km of Tours - Paradisiac! Property 7: La Maison des Cochers - 2nd floor Apartment. Property 25: lodging, a haven of peace of greenery on a ground of one hectare raised, private. Property 46: Old vineyard house. We had a great time, and will definitely go back when we are in the area!